This beautiful exclusive range of natural professional makeup is the difference between having an average makeover and an absolutely stunning makeover. Spa Beauty has been caring for Australian women’s beauty for over 17 years. 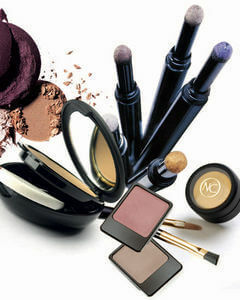 These stunning cosmetic products are enriched with minerals and emollients and protect the skin against moisture loss. Visually minimises fine lines and wrinkles and contains only the most natural sunscreen. Peppermint Springs makeup technicians are highly qualified in all aspects of beauty and makeup application. Debutante or even a Special Anniversary etc. All these products are available at Peppermint Springs Salon Retail and special packages are also available for weddings or large groups. These natural but magnificent makeovers will certainly amaze and excite you.